Pegasus Television Network LLC announced today that it has activated its Equus Theater pay-per-view and free-to-view streaming services to coincide with its major expansion into wholesale and retail home media distribution. 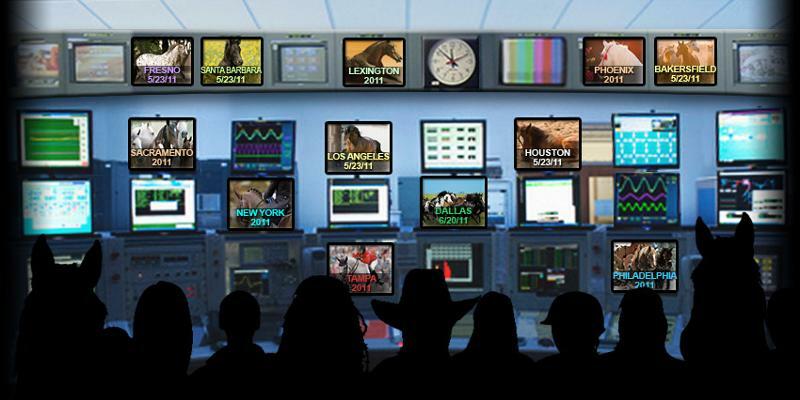 PegasusTV now provides both television broadcast and live online streaming of its 24 hour-a-day equestrian and horse-themed network programming; with the addition of its online pay-per-view (PPV) and free-to-view (FTV) streaming platform for programs, series or events, the company offers content providers various options for monetizing their programs in addition to any existing DVD distribution. Unlike progressive download delivery of video, streaming does not allow capture on the viewer’s computer or device for later viewing or copying. Individual programs, on-going series and past and current events of all kinds are immediate candidates for on-demand streaming. Whether programs are meant to generate revenues or are being made available at no cost for collecting viewer data, the Equus Theater streaming platform provides an online video destination both for targeted audiences as well as the general horse-loving public. The company provides required technical services at no cost, does not charge for bandwidth, and shares revenues on an equal basis. Sponsor banners or video messages of all kinds can also be included on the dedicated PPV/FTV pages hosting the selected programs, allowing for time-sensitive marketing of products, services or ongoing information. Time-restricted or unlimited program access is made available to viewers by the purchase or gift of an “eTicket.” Sales of program DVDs can also be accommodated through a parallel retail system or through the content provider’s own website. The company also seeks both new and previously produced equestrian DVDS for inclusion within its home media division. Participation on the television or PPV/FTV platforms is not required. For more information regarding the Equus Theater PPV or FTV platform, DVD distribution or program submission for the Pegasus Television Network, please contact Lesley O’Connor at 713-485-9241.
Pegasus Television Network is a 24/7 digital television network dedicated to equestrian pursuits and country life. It is a privately-held company that develops and operates consumer media destinations and products focused on equestrian and equine-focused activities and country lifestyles across multiple delivery platforms. It also provides domestic and international distribution services for equestrian home media and television programming.